Image courtesy of the vendor, jibajaba. 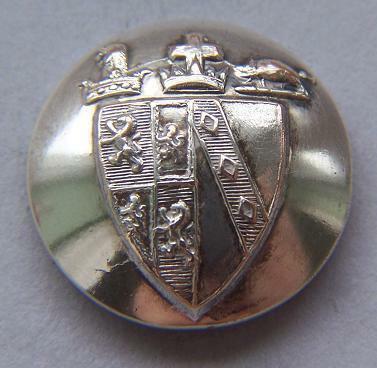 These two button both display the Arms & Crests for Harpur-Crewe along with the baronet’s “Red Hand of Ulster” insignia and also the motto “Degeneranti Genus Opprobrium ” (Lineage becomes a disgrace to the man who degenerates from it). Gules three bars embattled counter embattled. 5th – Caroline Manners, daughter of the Duke of Rutland. 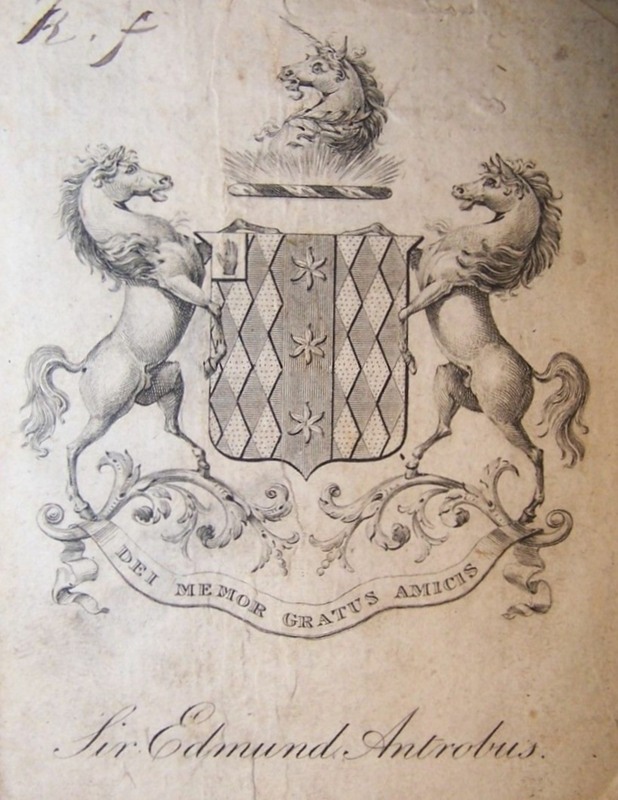 6th – Frances Elizabeth Greville, daughter of Earl of Brooke & Earl of Warwick. 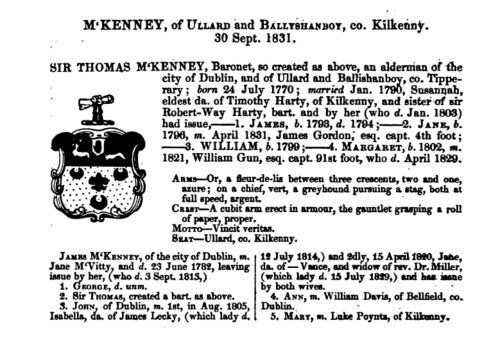 8th – Jane Whitaker, daughter of the Rev Thomas Whitaker. 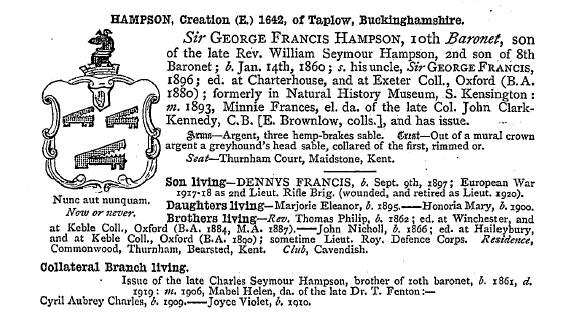 9th – Georgiana Jane Henrietta Eliza Lovell, daughter of Vice Admiral William Stanhope Lovell. 10th – Isabel Adderley daughter of Charles Bowyer Adderley, 1st Baron Norton. An interesting livery button is listed on eBay. Not only has it impaled Arms but three crests. 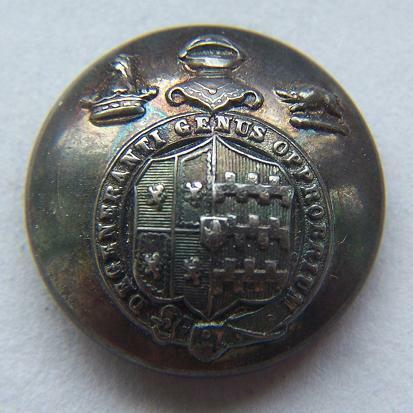 This appears to be the livery button of Vauncey Harpur-Crewe who married in 1846 the Hon Isabel Adderley daughter of Charles Bowyer Adderley, 1st Baron Norton. 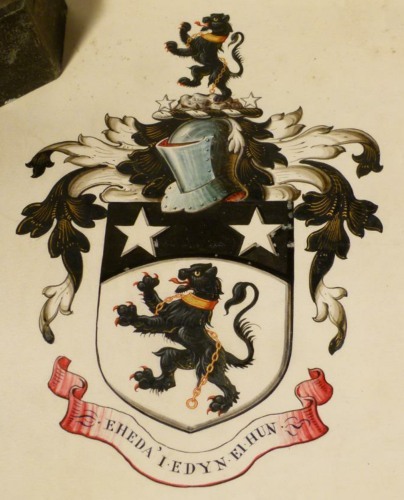 Upon the death of his father in 1886 Vauncey Harpur-Crewe became the 10th Harpur-Crewe Baronet of Calke Abbey. 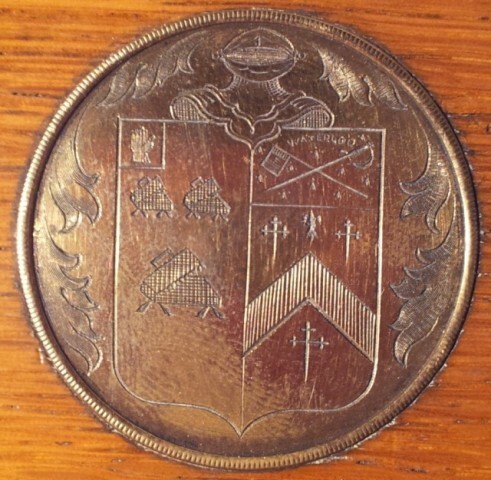 I have had no joy so far in identifying the middle crest. Since it has a cross I am wondering if it is some reference to Calke Abbey. 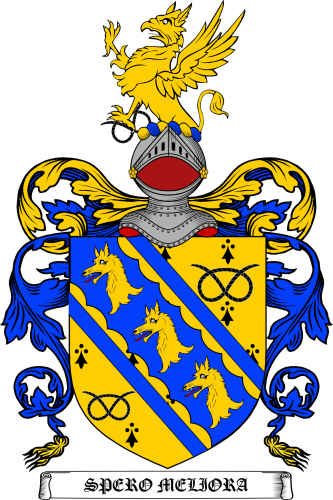 The first of the family to be knighted apparently was Sir Robert le Harpur (seventh generation), son of Gilbert le Harpur and his wife Isolda (Morton) le Harpur. 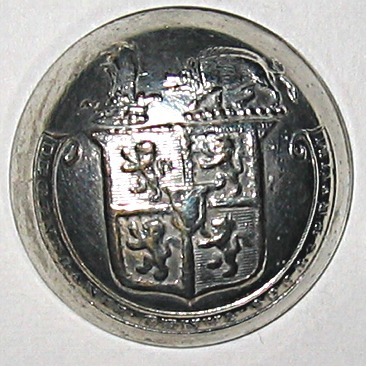 Sir Robert lived in the time of Edward II (1284-1327) and bore for his arms a plain cross, and the same for his crest, issuing out of a coronet. 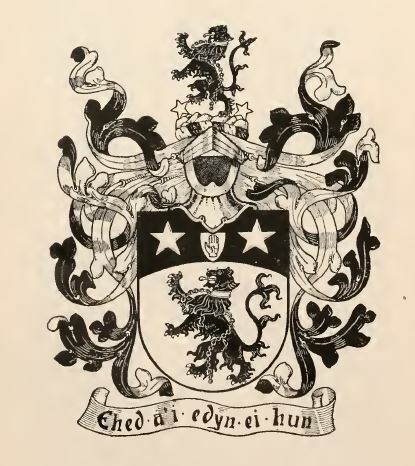 So perhaps the middle crest is a reference to the ancient Harpur crest? 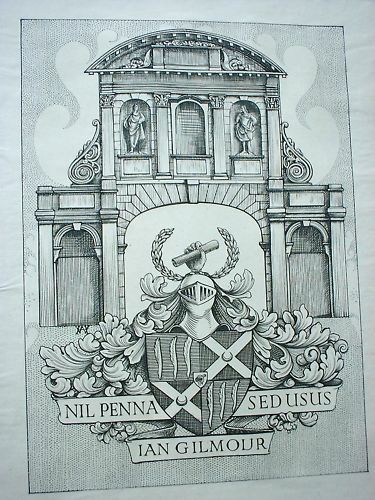 The sale has just concluded of a more contemporary bookplate, that of Sir Ian Gilmour Bt, later Baron Gilmour of Craigmillar. 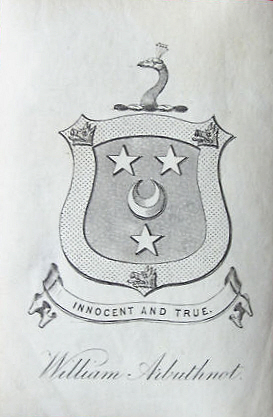 The bookplate is most probably from between 1977 when he succeeded to the baronetcy and 1992 when he was made a life peer. Lord Gilmour died in 2007. 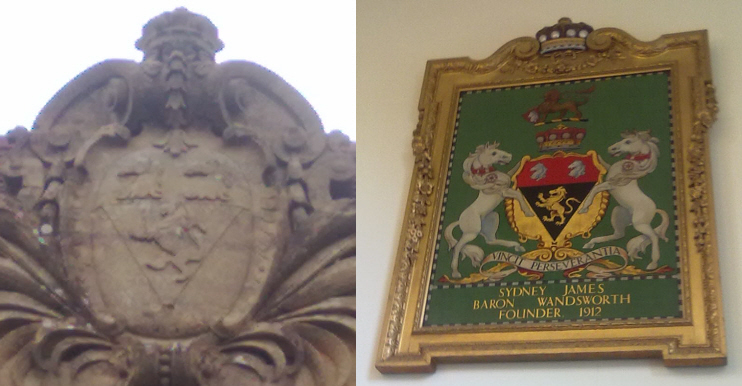 His son, David, is now the 4th baronet. 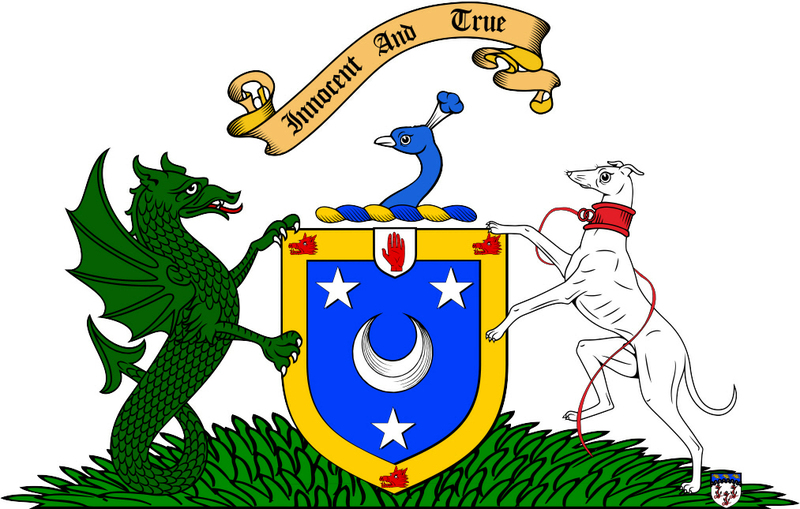 Crest: A dexter hand holding a scroll of paper within a garland of laurels proper. 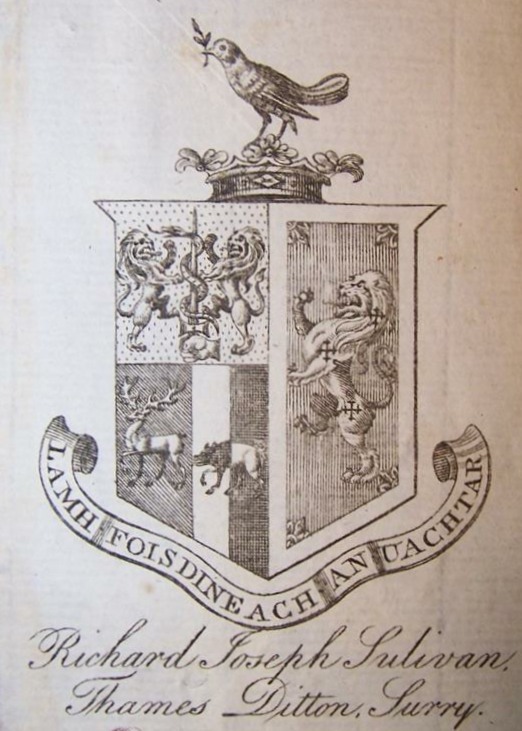 The Grant of Arms to Sir Francis William Lowe, Knight and Baronet is on sale at eBay. 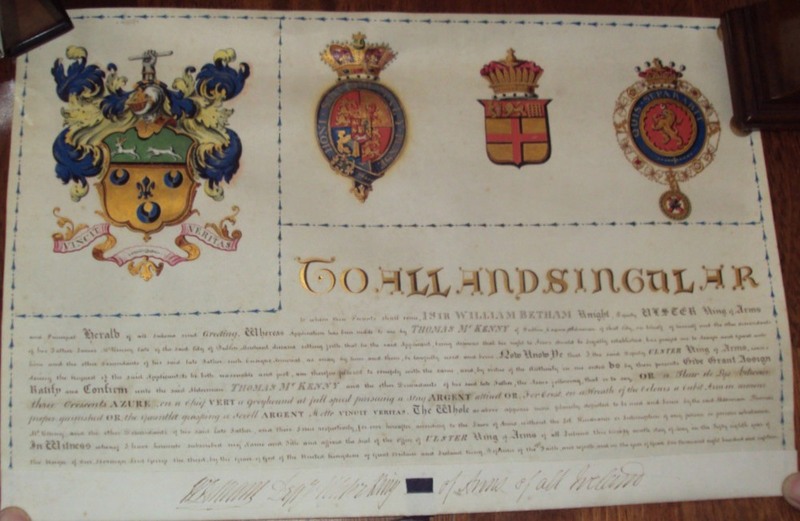 The Grant is from 1918 and is signed by Alfred Scott-Gatty, Garter and William H Weldon, Clarenceux. 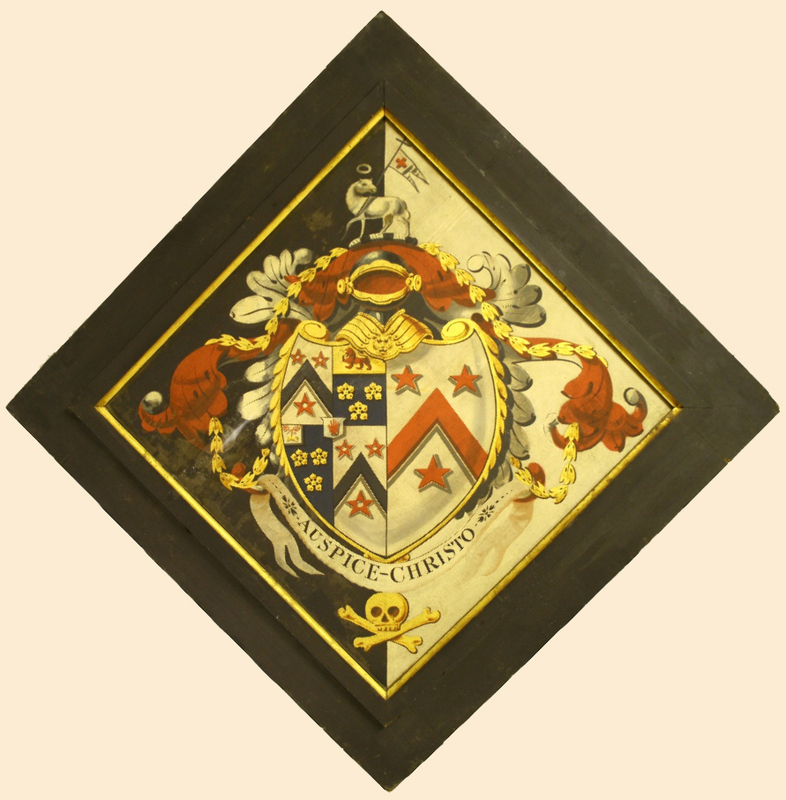 Sir Francis probably petitioned for Arms after being created a Baronet on the 30th January of that year. 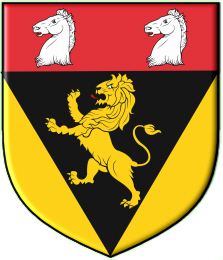 Arms: Erminois on a bend engrailed cottised plain Azure between two Stafford knots Sable three wolves’ heads erased Or.